Sit and stand desks are beneficial to those with desk jobs or those who work from a desk for an extended period of time. 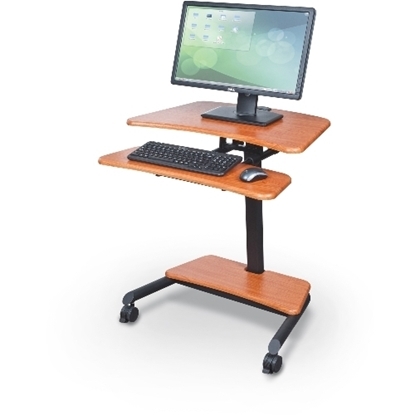 Sit stand desks alleviate back pain and allow you to work smarter and feel better. 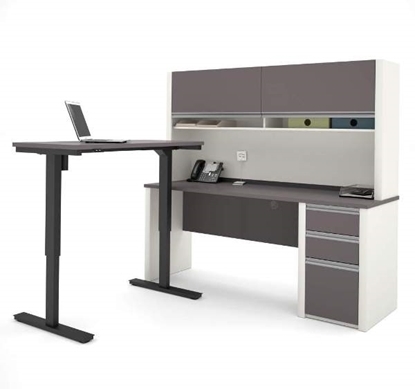 The adjustable desk design allows you to easily switch from standing up to sitting down at your desk, providing regular breaks for your body. 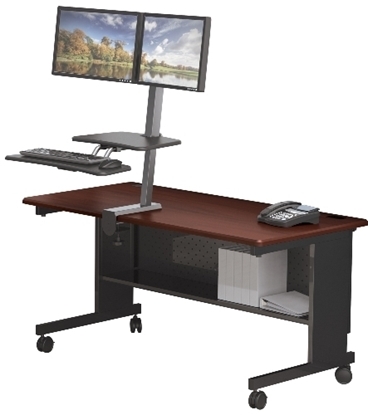 Easily adjustable and mobile allowing you to make the most of your office space. Get up! Stand up! 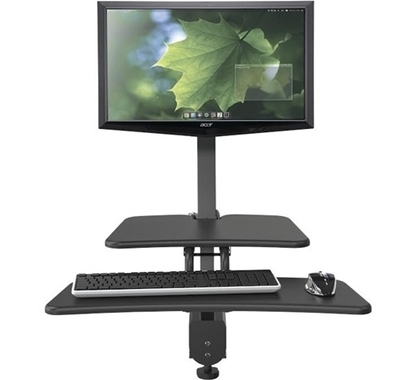 The Up-Rite Workstation Mobile Height Adjustable Sit/Stand Desk is a simple to use, ergonomic solution to add energy to your working environment. 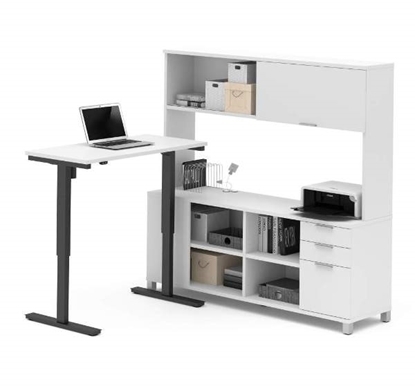 An L shaped desk that give you the option to work in the position you want. 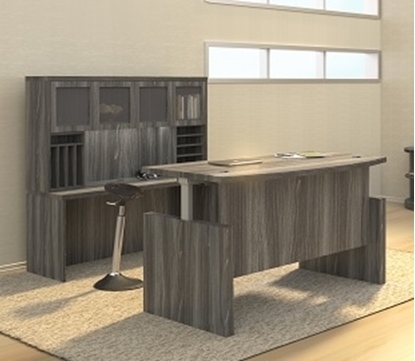 This height adjustable desk features a standard height credenza and a desk that can be adjusted from 28"-45"H.
Change the way you work with this height adjustable desk. This sit stand desk features a manual height adjustment mechanism using counterbalanced springs to make adjusting the table simple. Order today and get free shipping! 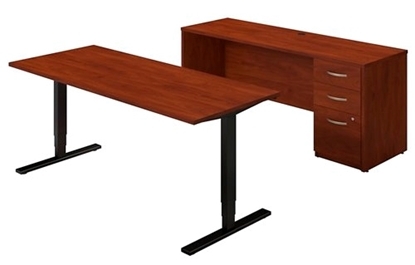 A L Shaped Desk made up of a height adjustable desk and a credenza with a hutch. 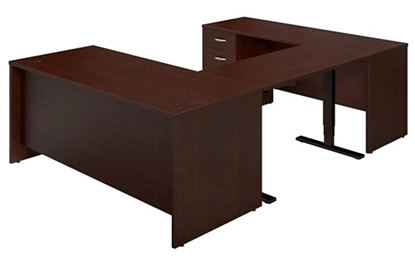 This desk features plenty of storage space, the ability to work sitting or standing, and is available in 3 colors. A desk that allows you to work standing or sitting depending on your mood. 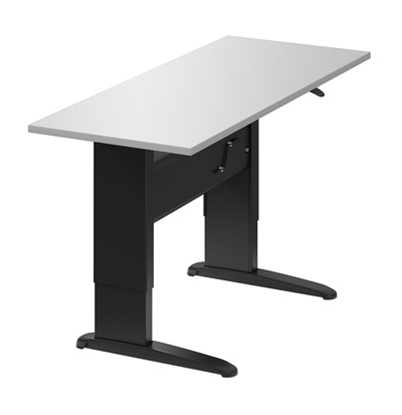 This desk features height adjustability that raises and lowers the entire desk while other models will only allow you to adjust the height of an individual section. 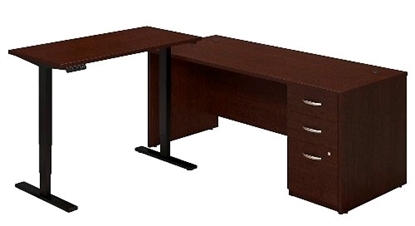 This Bow Front L-Shaped desk is constructed of a durable 1 5/8" thick laminate work surface. Want to switch from sitting to standing throughout the day? The new Series C Elite from Bush offers a flexible, healthy and ergonomic solution for today's work environments. Credenza has a locking pedestal with two box drawers and one file drawer. Order today and get free shipping! 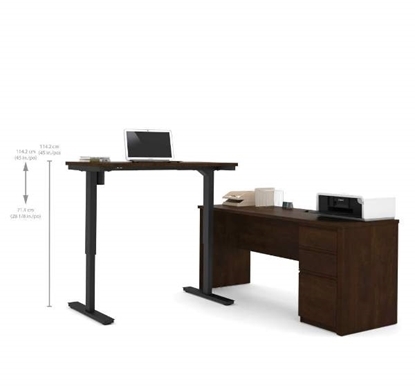 Design a functional and healthy workspace with this u shaped desk featuring a height adjustable bridge for sit stand capability. Durable, thermally fused laminate work surfaces feature superior resistance to scratches and stains. Meets ANSI/BIFMA standards for safety and performance. 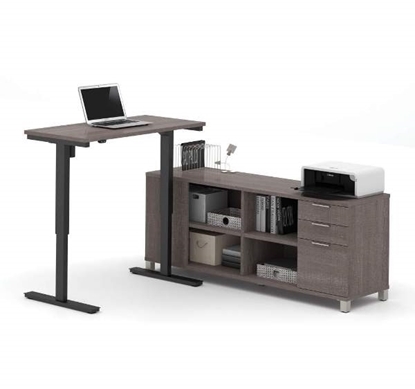 Looking for a height adjustable workspace but still want the set up to look like an executive office? Aberdeen now features the addition of height adjustable desks. Beautiful finish options to choose from to make your space professional and productive!